This is a bit of a round trip through the unconscious, or at least some representation of it. As with all things that are not clearly made conscious, it is hard to tell what it really is all about or whether it is supposed to mean anything in particular. What is clear though is that it is in three main parts: first some kind of introspection, then a journey through the invisible and finally a return to the sensory world. I actually recorded the first part in January, the second part in July and the third part in October; still they are meant to be a continuous piece. 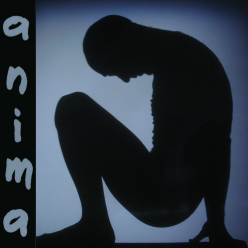 The term "anima" can refer to a few slightly different things, but it is essentially about the invisible and therefore mysterious part of oneself. It is however very much present and active in our lives, and in particular I consider it to be our main artistic driving force. By this I mean to be using art to express internal ideas and increase our awareness of them. It can prove to be quite therapeutic or at least it can help with achieving some sense of balance and meaning in our existence. This is why I also believe that freedom of expression and arts in general are fundamental to any human development, individual and throughout society. Ingredients: vocals, water drum, rain stick, synth keyboard (Nord Lead A1), electric double bass, electric guitar, violin, snare drum, trumpet, piano.